The next book in Martin Gill’s Crime Prevention and Security Management series has now been published. 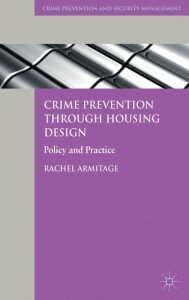 This book reviews the impact of residential design on crime and considers the current, and historic, importance placed upon crime prevention within the planning system. Armitage provides a comprehensive review of policy and practice in planning crime prevention both nationally and internationally.